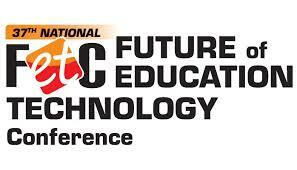 My next few posts this month will focus on one of my favorite topics- Augmented Reality! 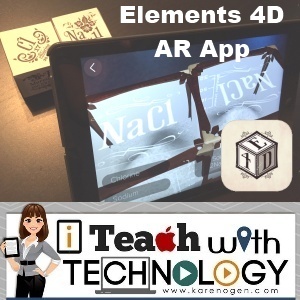 Daqri makes some of the most amazing AR products for education- so I will start with one of my favorites by Daqri- the Elements 4D Blocks and App. If I had these blocks when I took beginning Chemistry in high school, I probably would have liked chemistry class a whole lot more. Daqri's Elements 4D Blocks bring chemistry, properties of elements, and chemical reactions to life right before your eyes. The best part is that no students will blow up the lab or injure themselves because all of the chemicals and reactions are simulated! Then open the app and view the blocks one at a time or combine blocks to see if you can create a reaction. There are 6 blocks with 6 different elements on each side, so there are plenty of elements and reactions to explore. Amazing! Plus, the Daqri website now also has some great lesson plans for elementary, middle, and high school that connect to the Common Core and Next Generation Science Standards. I work at the elementary level and I have always advocated using the blocks to study and demonstrate the states of matter. I was pleasantly surprised to find a wonderful lesson plan and extension activities written around this very standard on Daqri's site.